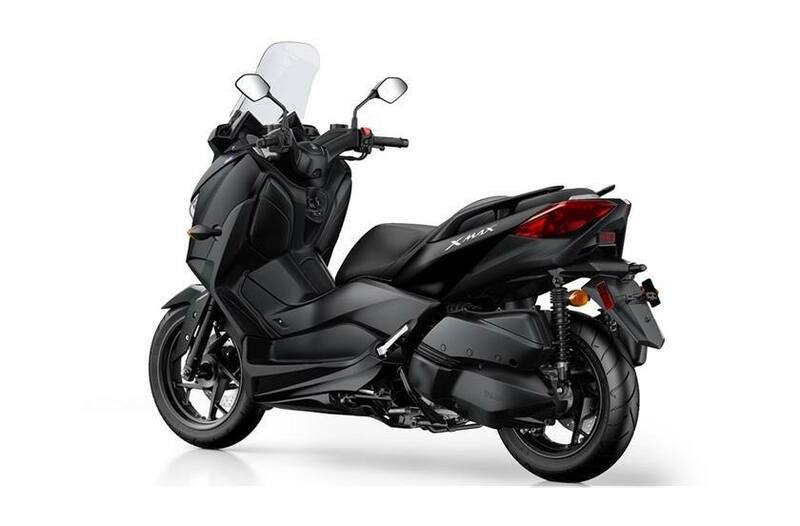 Yamaha's New 300cc Fuel Injected Liquid Cooled Sport/Touring Scooter........Stealth Black is AWESOME!!!! 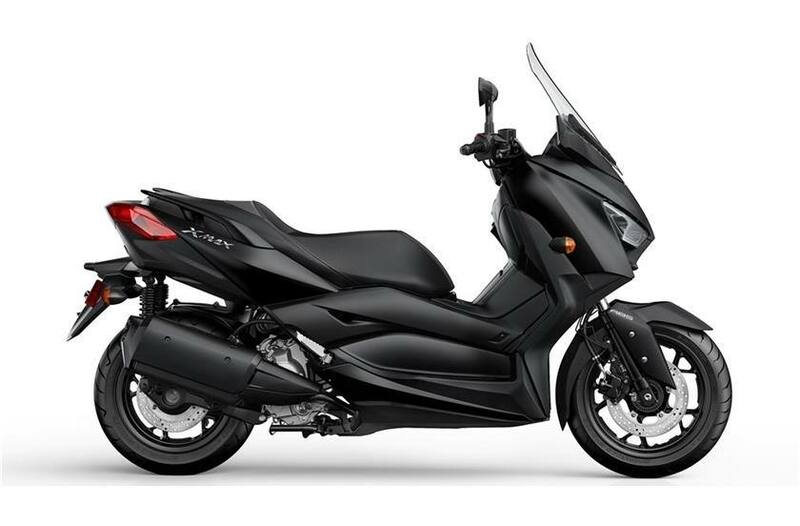 Sporty, Fuel Efficient Engine: Featuring technology developed for use in Yamaha's high-performance sport bikes, the XMAX motor is smooth, efficient and ready for everything from the day-to-day commute to fun rides on the weekend. All-New Engine: The XMAX is powered by an advanced 292cc liquid-cooled, four-valve single that develops smooth, tractable power. The cylinder is crafted from Yamaha's DiASil aluminum for excellent heat dissipation, with a lightweight forged piston and forged crankshaft. A counterbalancer ensures minimal vibration, while the offset cylinder layout and semi-dry-sump lubrication system help reduce friction and drag inside the engine. Full Automatic Convenience: Thanks to Yamaha's Continuously Variable Transmission, the XMAX offers the convenience of truly ‘twist and go' riding, which no gears and no clutch. This gives the XMAX an easy-going riding character that is ideal for busting city traffic on weekdays and enjoying a relaxing ride on the weekend. The CVT system also features a large air-cooling path for the drive belt, reducing heat and engine noise significantly. 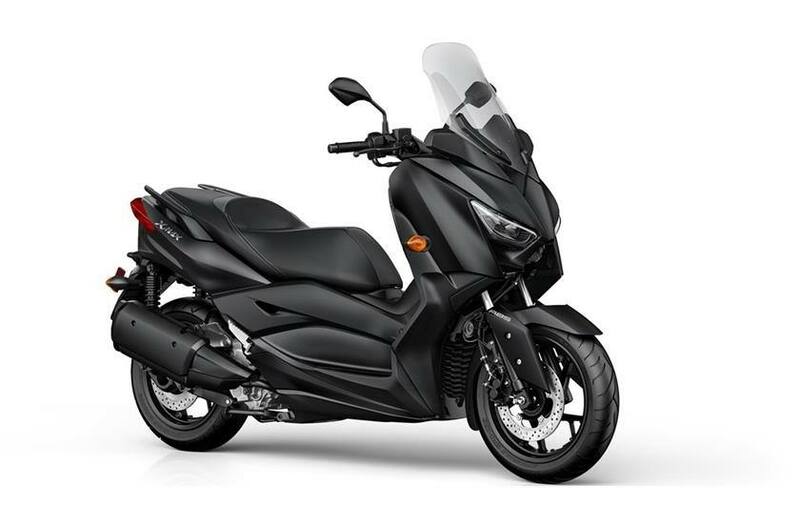 Fuel Injection and Traction Control: Modern fuel injection features a 12-hole injector for excellent response, and just like Yamaha's cutting edge supersport and sport-touring machines, the XMAX features a traction control system. TCS continuously monitors wheel speeds, and if the system detects rear tire slip, the engine smoothly cuts power to help prevent uncontrolled wheelspin. Lightweight Steel Frame: Designed for light and neutral handling character, the XMAX's steel frame results in a wet weight of only 397 pounds fully fueled, for exceptional maneuverability. 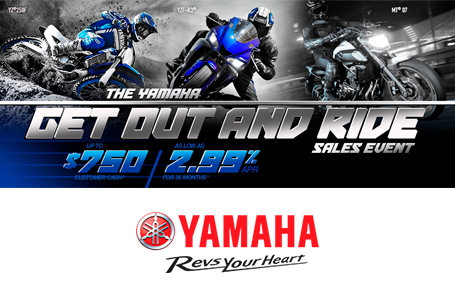 Anti-Lock Braking System: With large 267mm and 245mm front and rear disc brakes, the XMAX gives the rider controllable braking power backed up by the security of Yamaha's anti-lock braking system, for confidence in all sorts of road conditions. Smart Key System: Yamaha's Smart Key system eliminates the need to use the key to access the machine. Starting the bike, accessing the storage compartments and fuel tank, and locking the handlebar can all be done using the proximity Smart Key. L x W x H: 86.0 in. x 30.5 in. x 55.7 in. - 57.7 in.